Those are great resolutions! 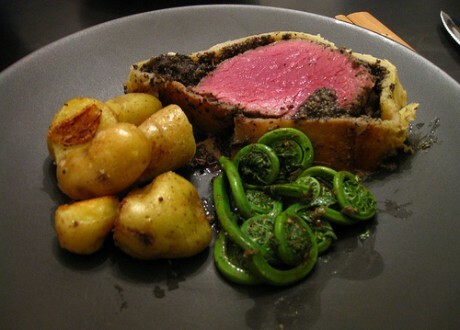 I have to confess I've NEVER eaten beef wellington but that picture looks tasty :). Instead of making big resolutions this year I've made a few smaller ones: gigs I want to go to, topics I want to learn more about, things like that. wow..that really looks delicious!happy new year celia! Wow, Beef Wellington? I will be impressed to the nth degree if you accomplish this. I am an awful, awful cook and Beef Wellington looks ever so difficult. Yay for you! I've never had beef wellington -- good luck! I wish I loved to cook, but don't. Walking into Williams Sonoma inspires me, but it quickly passes when I walk out.